How many of you have managed to citadel the new RNBBs? So, okay, aside from the obviously squishy T3~7 ships, the T8+ seem to be really difficult to cit. 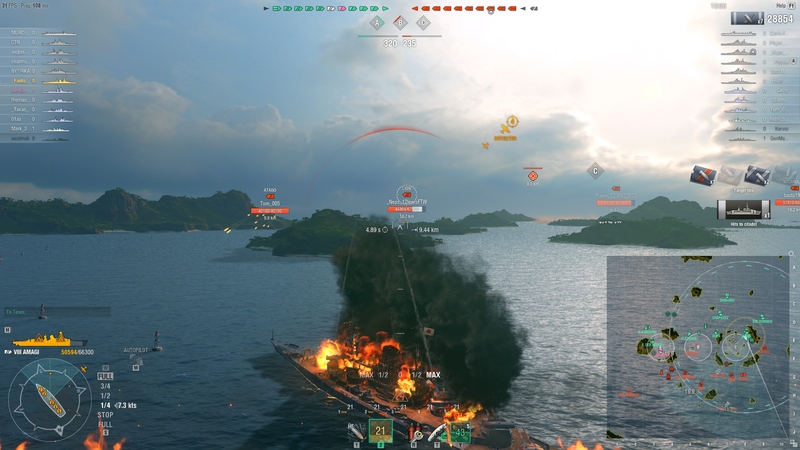 I citadeled a Conqueror in my Yamato at about 15 km, he was completely broadside. Second time was a citadel on a Monarch with my Kii at around 8-10km also broadside. Once, while using North Carolina. I shot the tier 9 in the a$$, and got a citadel pen. I'd been pounding him for a while, and this was just enough to put him down for good! AP shells, of course. Not positive with Monarch and Lion since I didn't play them, but Conqueror has below waterline citadel. Maybe something like Montana, Yamato hitting at range, but it's pretty hard to citadel. She does eat lots of pens if the skipper screws up. Basically punish her the same way you would a German BB. She has a lower HP pool than GK. I have both cit'd in a Conqueror and hit a Conq for a cit. Monty hit me from 10-12km away or so while I was trying to avoid a Hak attack, maybe 15 degrees off broadside not sure.